Lock in a great price for Rita's Rooms – rated 8.5 by recent guests! It was clean and comfortable, rita was welcoming and she got us from and to the port. 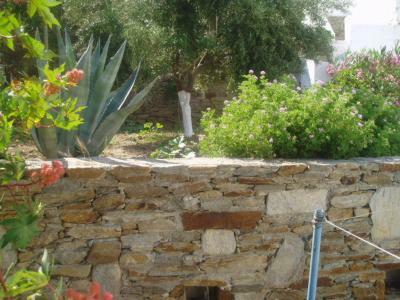 The property is near the bus station and about 10 min walking to the busy village of chora. Pool was fantastic. Owner gave us free transfer to Port. Good value for money. Facilities basic but usable. Room cleaned daily. Stunning location and extremely friendly staff. Arranged to collect us and our bags from the port voluntarily, with the same for when we were leaving. Fantastic pool facilities. Very friendly and helpful staff. 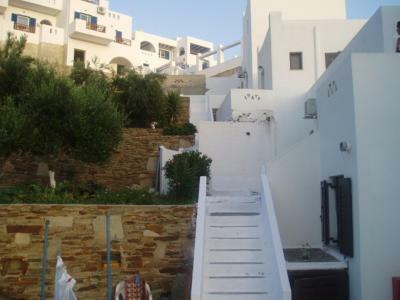 Great pool and convenient location, walking distance to chora (town). Bus stop to beaches is just outside hotel. The location was excellent and we were picked up from the port by our hotel. Location was great. Staff was very welcoming and helpful. Rita was an excellent host. She collected and dropped us to the port which was great. We really enjoyed our stay there! Rita was lovely, accommodating and very helpful. Room was immaculate. Central location and so easy to get around. We loved our stay! 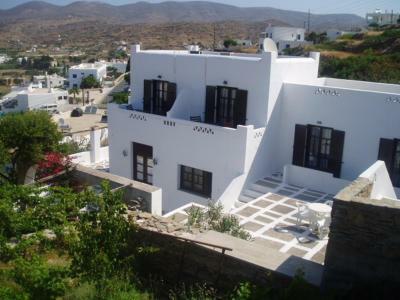 This has to be one of the Nicest places in Ios.Rita & her Family so Welcoming.Very good Value for money.Good sized rooms & Stunning Balcony Views.Very close to Port & Hora.Beautiful Swimming pool to cool off if you dont want to go to the Beach.Had a Wonderful relaxing Holiday here.Would definitely recommend staying here. Look forward to visiting again. Rita's Rooms This rating is a reflection of how the property compares to the industry standard when it comes to price, facilities and services available. It's based on a self-evaluation by the property. Use this rating to help choose your stay! 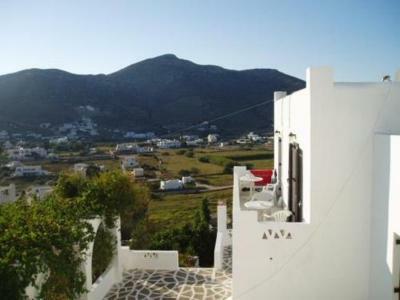 One of our top picks in Ios Chora.Peacefully situated and overlooking the beautiful resort of Yialos, this modern yet traditional hotel has been built according to typical Aegean architectural styles and offers wonderful panoramic views. This convenient location provides easy access to all areas of greater Ios. 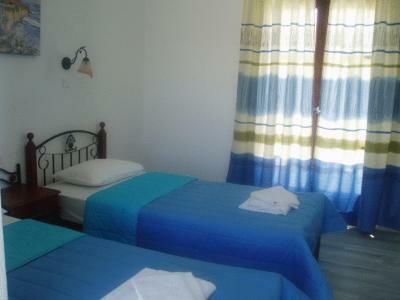 The beach, the port and the center of the city are within easy walking distance. In the vicinity you will also find an active nightlife, excellent transportation connections and modern amenities. There is a large outdoor swimming pool with free lounge chairs, umbrellas and a smaller pool for children. 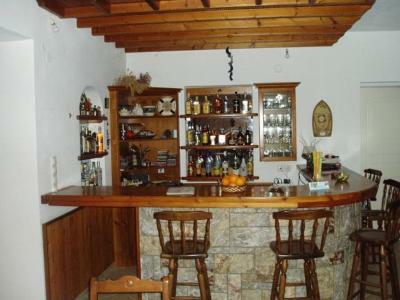 The bright, light interior is designed and decorated in a traditional style which generates a very homey feel. The hotel also includes a restaurant and bar. 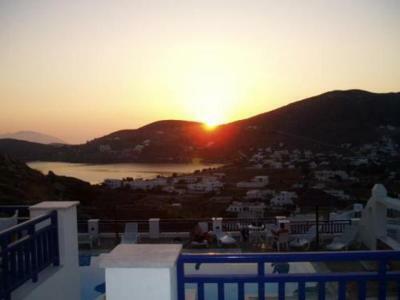 With a warm atmosphere, stunning vistas and comfortable accommodations, this picturesque hotel features all that you can wish for in a vacation in this beautiful area. When would you like to stay at Rita's Rooms? 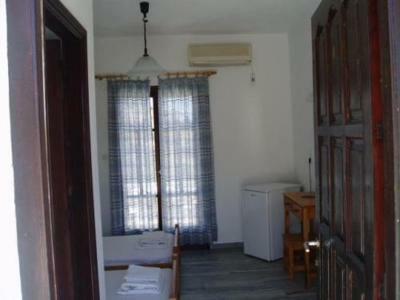 Traditionally furnished room with air conditioning, TV and private balcony. House Rules Rita's Rooms takes special requests – add in the next step! Rita&#39;s Rooms accepts these cards and reserves the right to temporarily hold an amount prior to arrival. Rita's Rooms accepts these cards and reserves the right to temporarily hold an amount prior to arrival. The air conditioner constantly leaked so we had to use the towels to stop the noise and mess, which meant we didn't have the nice beach towels that were provided for our own use. I left a good item of clothing in the room and instead of it going to 'lost property' it was thrown in the bin! A new shirt has been purchased for me, which is nice, but perhaps a lost and found would be something to implement, so people can get their things back that are accidentally left behind? Just a suggestion :) Not a big deal but the light on the balcony didn't work. Lovely views and pool area. Room is a good size and water temp of the shower was perfect. Wi-Fi pretty strong even in the room furtherest from reception. Very accommodating staff, they leant us glasses and a bottle opener without hesitation. A short walk to the main street of Chora was very handy, also very close to a bus stop and not far from the port. The complimentary shuttle was a lovely surprise and much appreciated. 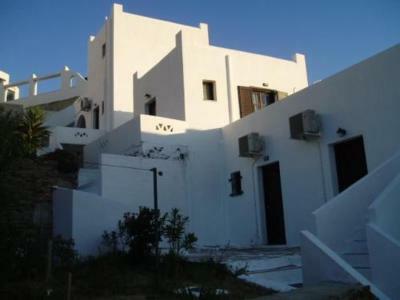 The property need a bit renovation and a big of life specially near the pool with the amazing view but it feel lifless. 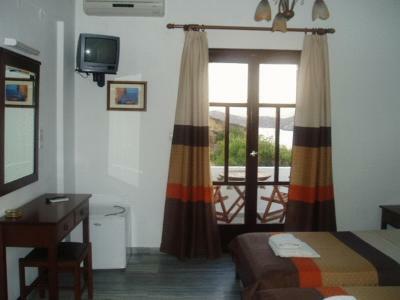 The room was simple and clean, you had to be patient with the shower but, for a small island it was fine. 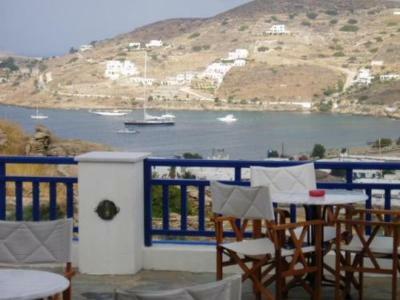 We were very lucky with the room we was put in because our balcony had the best view, you could see right across to the port and the sea and especially the hills and at night the view was stunning, welcomed by thousands of stars. The pool was amazing, and once again a really great view from the pool and the loungers. The pool area was very clean as it was washed down every morning. Rita herself was a great host, friendly, happy to give information on the area at any time of day and created a tasty breakfast every morning! Couldn't recommend this place highly enough! The shower wasn’t the best. Close walk in to town with nice view down to the port. Nice big pool area. Rooms were simple but comfy. Facilities were older, and a bit outdated, but room was cheap. WiFi could have been faster. Owner's husband seemed to stay up late at night outside the hotel's entrance and once yelled at us as we quietly returned to our room..